The strangest thing happened to me the other night. I was out to dinner with friends and just as our food arrived, two women sitting nearby stopped their conversation and (in all sincerity) complimented my salad. Not the chef. Not the farmers who grew the produce. 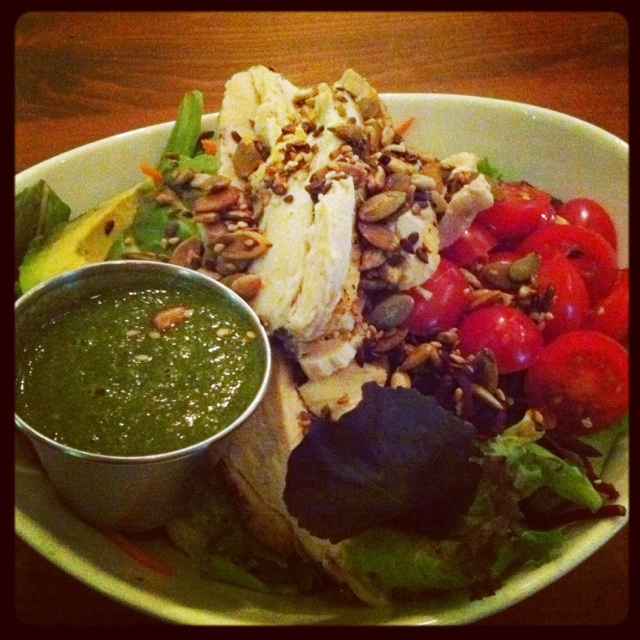 But me…as if ordering that salad for dinner was some kind of noble act worthy of public praise. Still, this scenario got me thinking…perhaps it is time to dedicate a post to one of my all time favourite meals: The Salad. In my experience no matter who you’re talking to ordering a salad is lame. If you’re with a girl: its lame because it looks like diet food and she feels judged so she’s judging you. If you’re with a guy: its lame cause its green and…I dunno I guess dudes hate fibre. BUT I accepted long ago that sometimes the stuff that makes me feel good and happy also happens to be super lame and nerdy. And the things that make me feel like crap (crapst?) like drinking, blowing my money, eating trashy food, not participating in sports/physical activity/anything new or different etc. are always gonna be cooler. And salads are a very efficient delivery system. Simple as that. SO after that long winded intro here’s a few tips on how to I make the perfect salad order to keep myself full & fueled while mowing down on rabbit food. 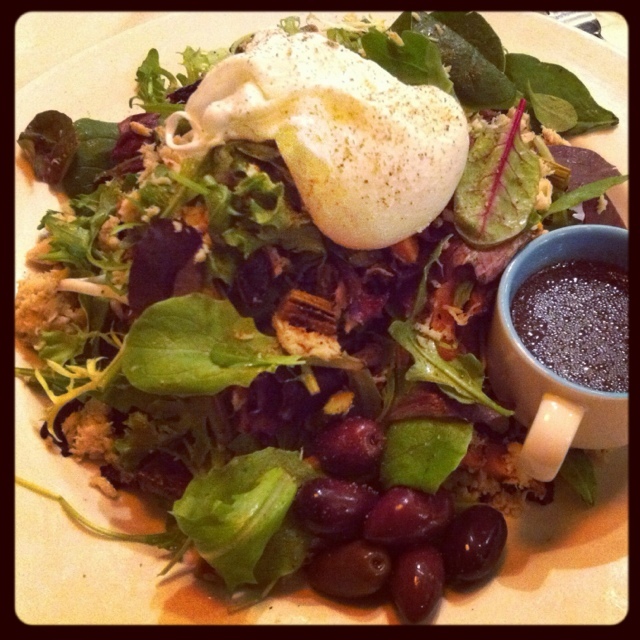 Nicoise Salad from Boom Breakfast: Mixed greens with tuna, grilled asparagus, sweet potato, olives, topped with a poached egg and balsamic dressing. Trust me. Keep your veggie quotient high but don’t skimp on these additions and you’ll never be left feeling like you “just” ordered a salad again!